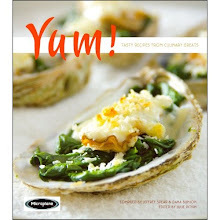 Eat like an insider with Chef Picks by StarChefs.com, Off the Beaten Path Edition. Want to find the ultimate noodle bowl, best slice in the borough, or a late-night haunt to satisfy you cravings? Some of the most influential chefs in the country have weighed in with their favorite hidden gems—from mom and pops to strip mall eateries and side street dives—along with the dishes they crave. Eat like a chef in your own city or wherever you travel with recommendations from some of the best palates and finest talents in the business.